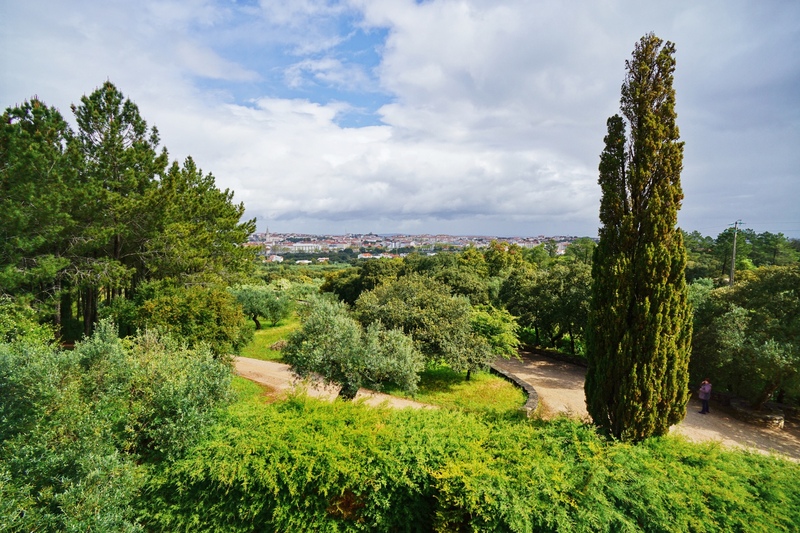 Looking from the hill where the faithful believe the angle of peace appeared across the little valley to the Basilica at the site of the apparition of Mary in Fatima. The Hungarian Pilgrim way runs from there to here. The Basilica is just to the right of the trees on the left. Sony a5100 in-camera HDR. 16mm prime with UWA converter for an 18mm equivalent field of view. Processed in Polarr.